Problem: you've got a computer that you want to take from one location to another. You see your hands, you see the iMac, you just can't for the life of you figure out what comes next. Apple to the rescue! 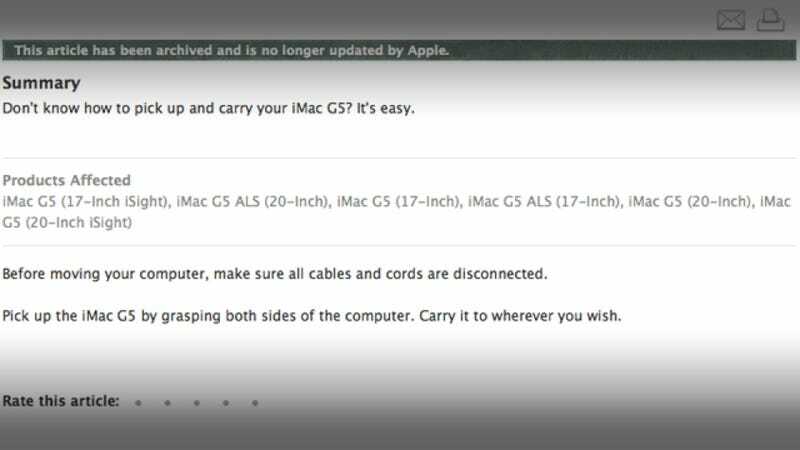 Don't know how to pick up and carry your iMac G5? It's easy. Before moving your computer, make sure all cables and cords are disconnected. Pick up the iMac G5 by grasping both sides of the computer. Carry it to wherever you wish.